If you’re seeking health and pain relief, your route to recovery can often involve prescribed medication; but what if you’re looking for a drug-free solution? A visit to Richard Ochs, DO, a California-based general practitioner working with Health Atlast practices in both Los Angeles and Santa Monica, could be the answer you’re looking for. 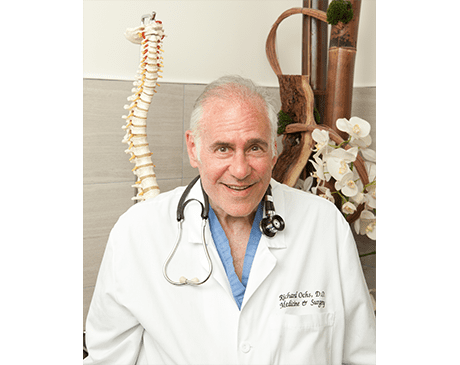 After earning his Doctor of Osteopathy license in 1973, Dr. Ochs has had a long and extensive career over 40 years providing drugless healing for patients who experience general health issues, orthopedic problems, and need help with lifestyle and pain management. Dr. Ochs believes in a wellness approach -- looking beyond your symptoms to delve into how environmental factors and your lifestyle can impact your health and wellbeing. You work closely together to develop your own personal holistic health program for healing, using osteopathic principles to explore treatment based on the concepts of body unit (seeing a person as a unit of body, mind, and spirit), and self-regulation. He can help you with Annual Wellness Visits, Laboratory testing and diagnosing and managing health conditions in an integrated manner with the providers of Health Atlast.